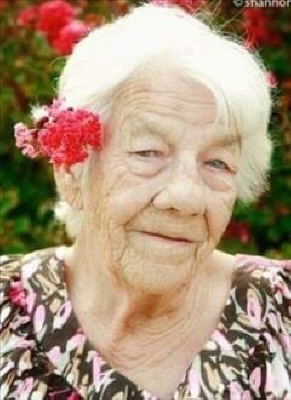 Dorothy Maud Wootton, 98, of Willow, Oklahoma, passed away January 14, 2019 in Oklahoma City. She was born October 29, 1920 in Winters, Texas to Louis and Laura Lee (Pope) Bundick. She met her loving husband, George Allen Wootton in Kerrville, Texas and they married in 1939. They were married for 33 years. Of this marriage, they had three children. Dorothy and her family moved to Willow, Oklahoma in 1955. She was known to help her husband with his building projects and took care of the home. She was the first one up and going in the morning and the last one to finish for the evening. Dorothy brought joy to everyone she was around, she was funny and always encouraged her grandkids, she always found the good in everything and everyone. Dorothy is preceded in death by her parents; daughter, Modene Kinnikin; three brothers, and one grandson, George Weed. She is survived by her son; George Wootton and wife Judy of Mustang, Oklahoma; daughter, Laura Denny of Willow, Oklahoma; Many grandchildren, great-grandchildren and great-great grandchildren. As well as numerous nieces, nephews, and other family members. To send flowers or a remembrance gift to the family of Dorothy Maude Wootton, please visit our Tribute Store. "Email Address" would like to share the life celebration of Dorothy Maude Wootton. Click on the "link" to go to share a favorite memory or leave a condolence message for the family.